When you’re a web developer or SEO, working with many clients, you probably have a set of settings for Yoast SEO for WordPress that you prefer. 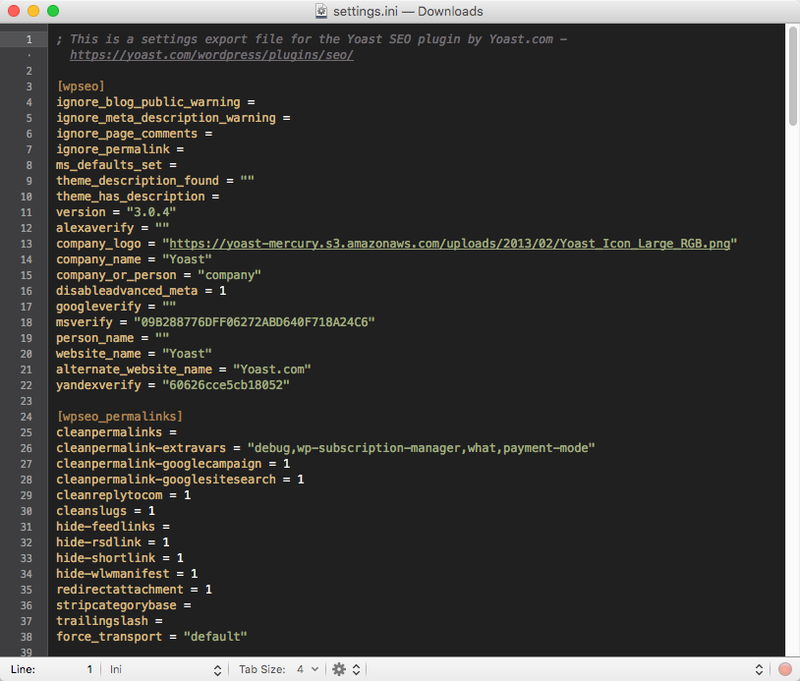 You might have a default title template for instance, default XML sitemap settings, etc. 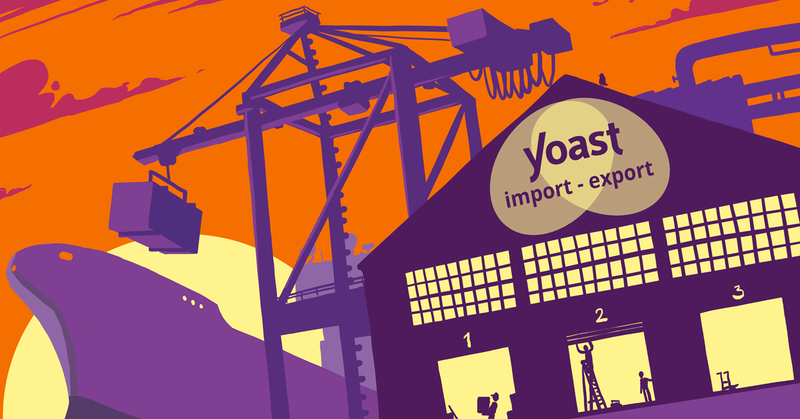 This post will teach you how to easily apply those settings to a site quickly using the Yoast SEO Import and Export features. Each set of options starts with the option name in brackets, like [wpseo] and [wpseo_permalinks] in the example above. The reason you’ll want to edit it is because you want it to be reusable. So you’ll want to remove any and all site specific data, like a company logo & name, verification strings for Bing, Google, Yandex, etc. Once you’ve made your changes, simply save the file and zip it again. We force you to zip the file because most hosts will not allow the direct upload of .ini files for security reasons. Now, on the site you want to apply these settings to, go to the Yoast SEO Import page (Yoast SEO → Tools → Import and Export, the first tab), select your new zip file and click Import settings. That’s it. Nothing more to it, you’ve easily applied all your default settings to your new site. If you set up a lot of sites, this will save you valuable minutes every time you do so!